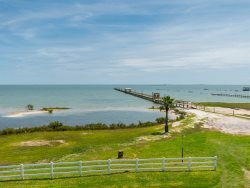 The Aransas area is perfect for kayakers of all experience levels. The endless Creeks sloughs and saltwater lakes in our marshes provide outstanding opportunity for fishing, birding, and paddling. We provide quality equipment rentals, transport, and professional guidance. Pathways Center, is the go-to place for information for all of the Aransas Pathways projects. These projects consist of: Birding, History, Kayaking, and Hike and Bike Trails. Pathways Center includes: pavilion with informational kiosks, an open center for meeting space, deck for relaxing and observation of Tule Creek and the adjoining nature site. The project also includes a bridge which connects the North and South sides of Tule Creek and Shellcrete Birding and Nature site. Rockport Kayak is proudly sponsored by Viking kayaks and offers a variety of sizes rigged with Railblaza accessories. Paddling gear such as PFDs, paddles, etc. are all included with each kayak. Every rental includes complimentary delivery and pick up*. Our knowledgeable staff will kindly point you in the right direction so that you can start your adventure off with confidence.